‘Zombies, werewolves, some very special vampire squids from hell (Vampyroteuthis infernalis), follicle mites, more zombies, good old-fashioned vampires, yet more zombies, giant spidery things, and, yes, even more zombies. The number one learning and teaching in Higher Education conference in the UK was all about monsters this year. 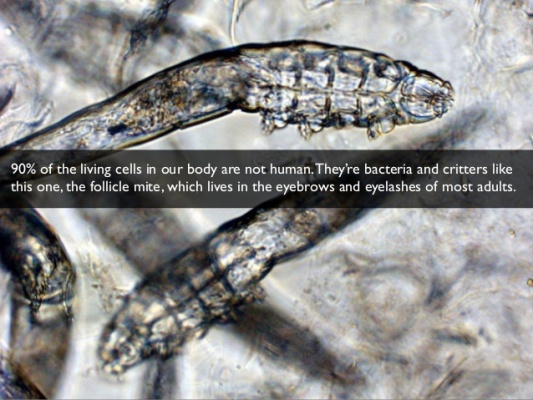 And in spite of the mass proliferation of zombies (they outnumbered all other monsters by 4 to 1), the arachnid miniscule follicle mites that live in human eyebrows completely stole the show. Follicle mites (and the furtive checking of eyebrows that characterised most breaks in the second day of the conference) aside, the conference was both inspiring and useful in its wealth of excellent practice in learning, teaching and assessment from arts and humanities subjects across UK universities. From the powerful keynote speech on the use of theatre as a class engagement exercise to the chance to dress your own teddy bear in the workshop on learning through making, inspiration abounded throughout the three days of the conference. The fruits of the “learning through making” workshop – which teddy hails from ancient Greece? The Classics@TSD workshop on the use of “flipped” learning to embed student engagement and student-led assessment was received rather well, in spite of being the only one without monsters of any type. The workshop was based on the innovative pedagogies implemented in the third year undergraduate ancient history module Armies and Navies, and used data from student results and feedback. The results showed that “flipping” lectures into student-led seminars and workshops combined with giving students the opportunity to create their own assessments increased engagement and participation. Kudos goes to the 2014 graduating cohort for working hard, choosing so many interesting subjects for their presentations, and giving such good suggestions for next year’s Armies and Navies in the module questionnaire’.